Every time a new Disney movie is released, I find myself so excited to see what Disney Consumer Products will come up with as far as keepsake merchandise to accompany the movie. I know I’ve mentioned before that I have a small collection of Maleficent items (a glasses case I bought when I was seventeen or eighteen, a few T-shirts from Hot Topic, etc. ), but the release of a live-action film about Maleficent left me feeling like a kid in a candy store. Seriously, I want everything! The great news is that Disney Consumer Products has released items that for every age group, ranging from the dress-up/make believe age into adulthood. Some top-name designers became involved in the products created for the movie, including: Stella McCartney, David Lerner, MAC, Crow’s Nest, and HSN. While the products under these names are a bit higher end, other retailers such as Hot Topic, the Disney Store, and Target as well as other mass retailers will be carrying items at a bit more of an affordable price. Here are just a few of my favorites from all of the different categories: fashion and accessories, toys, and books. Any of the items in this collection can be purchased in a Stella McCartney store, on her online site, or through DisneyStore.com. 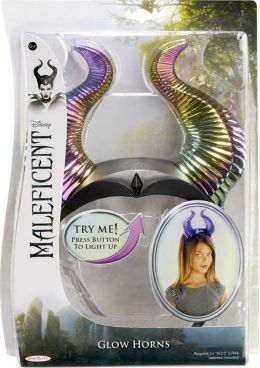 I must admit that I have quite a few items from Hot Topic featuring Maleficent, all due to the release of the new movie. There are a few more things that I plan on picking up as well! 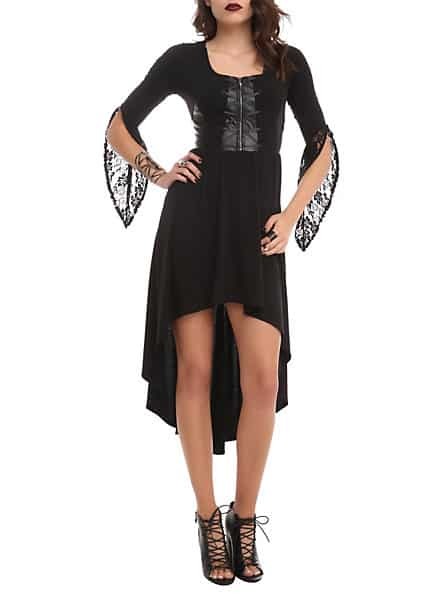 I already have a wallet and a racerback T-shirt, but some of the dresses inspired by the film are really eye-catching and belong in my closet! These horns, made by JAKKS Pacific, are surprisingly sturdy and well made. They fit my daughter perfectly, and she is having fun pretending to be Maleficent, who at first she was afraid of! We took her to see the movie and now she is maleficent’s biggest fan! I’ve only seen these at Hot Topic so far, but Barnes & Noble often stocks the POP! figures as well. Aren’t Aurora and Maleficent adorable? In the Disney Store, you’ll find costumes, tiaras, and more for all of your child’s make believe needs. Need a Halloween costume? Disney Store has you covered. Maleficent (SRP: $16.99) You should be able to find this beautiful keepsake hardcover in any bookstore. This is another amazing product that Disney Consumer Products sent home with us, and I’m excited to read it. Based on what I’ve heard, there are even more details about Maleficent in this novelization that were not included in the film. Once Upon a Dream: From Perrault’s Sleeping Beauty to Disney’s Maleficent (SRP: $40.00) I’d love to check out this book. It’s an illustrated history of Sleeping Beauty, going all the way back to the original Grimm fairy tale. The Curse of Maleficent: The Tale of Sleeping Beauty (SRP: $9.99) Perfect for middle grade readers, this book is a novelization based on Aurora. 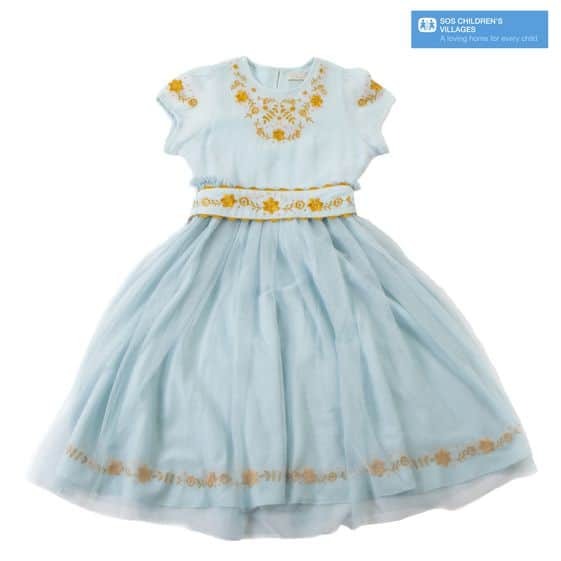 The pale blue dress is pretty for a little girl! This sounds fun to collect these items. Maybe someday they will be worth a lot too!!! Thanks for sharing. Those glow horns would be awesome for Halloween! 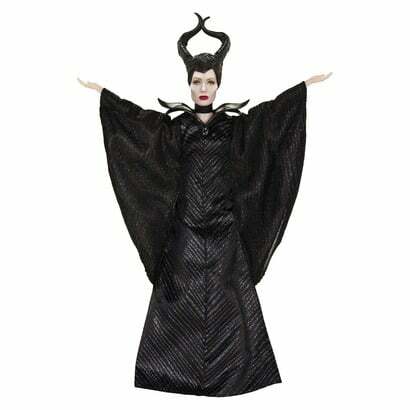 I wonder how many people will be dressed as Maleficent this year? The white dress looks pretty and the black outfit looks like a Halloween costume. I don’t know what to think of the horns. I love the little girl’s dress. What fun items. Great product line. Definitely gonna be big for Halloween! They have the cutest dresses! Love the new products for this movie! heard the movie wasn’t that great though! MAC Cosmetics also came out with a line of cosmetics based on Malificent, and has a fierce red lipstick that I love but probably would not wear in public. Love to see the theme across all age groups for marketing. What a fun line of clothes!